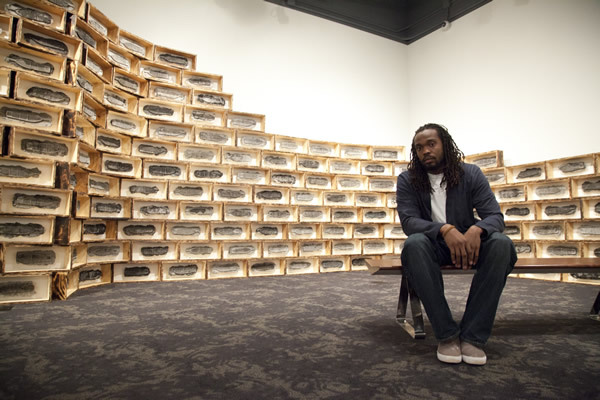 Stephen Hayes, a South Carolina native, debuts a number of art installations at the African American Museum today. One of the installations is comprised of 250 models of the Brooks Slave Ship diagram, first published by the “Society for Effecting the Abolition of the Slave Trade” in November of 1788. The diagram, now brought to life by Hayes, showed in dark detail how 450 kidnapped slaves could be packed into a ship’s tiny confines. One of the gallery’s windows looks out directly on the Federal Detention Center across the street from the museum. Read the full story by Newsworks’ Peter Crimmins.